First published in 1918, Whizzbands and Woodbines offers a view of World War I that couldn't be farther from the usual litany of suffering, tedium, and death. 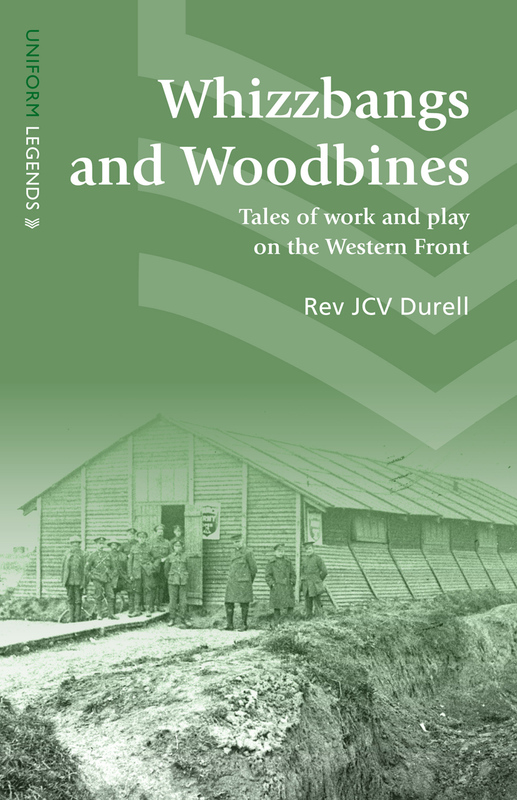 Written by the Reverend J. C. V. Durell, who at the time was rector of Rotherhithe, the book was built on Durell's experience as chief commissioner of the Church Army in France. The Church Army was a volunteer group whose purpose was to promote not only the religious life of soldiers at the front, through regular church services, but also to boost their morale through more secular means: music, concerts, card games, billiards, and even the simple pleasures of a cup of tea and a few puffs on a woodbine. The book tells the story of the Church Army's activities, showing us a side of World War I—of camaraderie and joviality—that's been obscured by a century of seeing the war as wholly tragic.